#12 LSU at #7 Auburn, 3:30pm, CBS: I see this game finishing 15-9 and being a defensive classic. Combined, the two defenses gave up 33 points to their opening weekend opponents, both of which were ranked in the top ten. The game is also worth watching because it will feature two potential first rounders in LSU LB Devin White and Auburn QB Jarrett Stidham. Stidham had a great game against Washington, completing 72.2% of his passes for 273 yards and a score. White meanwhile is making his case to be the first inside linebacker off the board with 19 tackles through the first two games. We’ll have to keep an eye on his interest to declare early, one article I found was not sure he’d make the leap early. The winner of this one will be in the driver seat to compete against Alabama for the SEC West crown. #17 Boise State at #24 Oklahoma State, 3:30pm, ESPN: If you like points, tune into this matchup at 3:30pm instead. Boise and OK State are 5th and 8th in points per game (117.5 combined). In addition to being entertaining, the game will feature a few notable draft prospects. On the Bronco side, we have QB Brett Rypien and RB Alexander Mattison. RB Justice Hill is the player to watch for the Cowboys. Hill hasn’t been involved in the passing game yet (just 2 receptions) and that was one of the things buoying his stock. Now that he’ll be facing a worthy foe, I am hopeful that Hill will get more work. #4 Ohio State at #15 TCU, 8:00pm, ABC: I’m really not sure what to make of the Buckeyes yet this season. That seems crazy to say when you consider they have outscored two Power 5 opponents 129-34 this year but neither Oregon State or Rutgers truly provided a test. When you factor in all of the off-field drama it’s tough to forecast where this squad will end up in three months. TCU started slow against SMU but ended up with a 42-12 victory. The Horned Frogs’ defense is ranked sixth in yards allowed this year (they finished 19th last year so it’s not a fluke) and will be a tougher adversary for Ohio State. Unsurprisingly, Ohio State’s backfield trio of QB Dwayne Haskins and RBs Mike Weber and JK Dobbins are succeeding so far. Weber and Dobbins have combined for 364 yards, 4 TDs through two weeks. TCU’s Shawn Robinson has also been productive, albeit more so on the ground than the air. Robinson has 328 yards passing, 4 TDs and 1 INT plus 112 rushing yards and 3 rushing TDs. I’ll be keeping an eye on Ohio State’s aggressive defensive line to see how well they can keep Robinson in the pocket. We know DE Nick Bosa is a generational pass rusher and it looks like sophomore Chase Young isn’t too shabby himself (he had a great strip sack against Rutgers that was ultimately reversed on replay). If the pass rush gets too far up field and Robinson escapes he’ll be the difference maker in a close one. Dwayne Haskins, QB, Ohio State: Haskins earned the starting job this Spring and his play so far has proved that he was the best option for the Buckeyes for 2018. He’s completing 79.2% of his passes and has tossed 9 TDs to just 1 INT. In limited duty in 2017, Haskins was nearly as efficient with the ball so I don’t think his successes are a factor of the weak foes he’s faced. Haskins is a redshirt sophomore so there’s no guarantee he declares after this season but if he continues to play well, I would expect him to give the NFL a go a la Cardale Jones. Jonathan Taylor, RB, Wisconsin: Unfortunately for fantasy players, but thankfully for college football fans, Taylor is not draft eligible after this season. So, I won’t give him the full treatment this season but his stats warrant mention. Taylor totaled 1,977-13 last season and is on pace to blow away those marks. He started well against Western Kentucky with 145-2 and somehow improved against New Mexico with 253-3. Taylor is an electrifying combination of size, speed and elusiveness. He’ll be coming out in a crowded 2020 running back class so it remains to be seen how high he’ll climb but he has 1.01 potential. Juwan Washington, RB, San Diego State: Washington is the heir to the San Diego State rushing title throne. Prior to him, Donnell Pumphrey and Rashaad Penny both led the FBS in rushing in their senior seasons. Washington, just a junior, is already off to a great start with 314 yards and 4 TDs. 158 of those yards came against a solid Stanford defense. Washington is diminutive (5070/190) but runs with enough power to be effective in short yardage situations. He runs with a shiftiness and quickness that you’d expect of somebody his size. Tarik Cohen would be an easy comparison based on size but it’s important to realize that Washington is nowhere near as accomplished as a receiver (just 9 career receptions). Washington is an experienced returner who brought three kicks back in his career. His return ability should earn him an NFL nod but some proof that he is worthy of passing down work would make him a fantasy consideration. 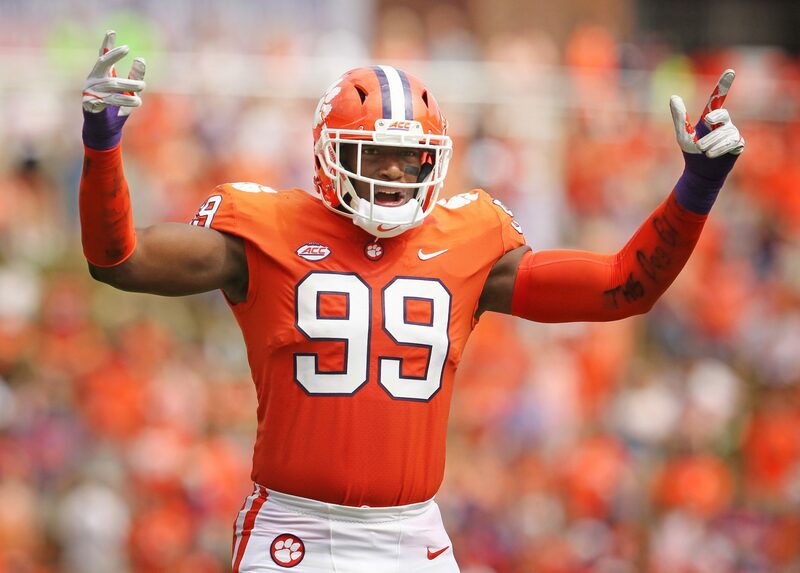 Williams is an interesting NFL Draft prospect who wasn’t really on my radar this offseason. I had heard the name numerous times on SiriusXM’s ESPNU radio but I didn’t follow through with any research. Now that Williams has excelled to start the season, it was time to dive in. Before we look at Williams’ stats and film, let’s discuss his background. Williams is a former 5-star recruit who chose Tennessee over numerous top schools (i.e. Alabama, Clemson, Auburn). When he decided to transfer, it was rumored that he could join Miami, Cal or UCLA. Ultimately he chose Colorado State because he had relationships with some of the Rams coaches. 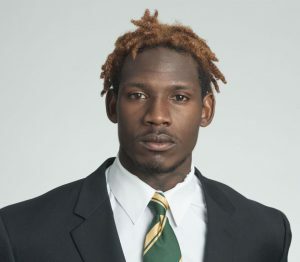 Before he took his first snap for CSU, Williams was suspended indefinitely for an altercation with his girlfriend (he shoved her when she was trying to move out). Williams pleaded guilty, is no longer facing legal ramifications and was reinstated to the team before their first game. On the field it’s clear that Williams needs some seasoning but there were a few plays that showcased his ability and got me excited. He appears slow out of his breaks and does not seem to have the violent, fast-twitch movement you would want from your receiver off the snap. Williams lines up all over the field which is a good sign for his versatility to fit into an NFL scheme. I don’t see enough from him as a route runner yet. To my eye, it seems like he’s coasting, knowing that his physical gifts can bail him out of situations. He does let the ball get into his body but when he attacks it with his hands, he can make good fingertip catches. On the two below plays, Williams tracks the ball, makes an adjustment and catches it with his fingertips. It’s a shame he wasn’t able to hit paydirt on that one but the play is still very instructive. He uses a combination of acceleration, field awareness and power moves to stay in bounds and shed tacklers for extra yardage. Honestly, it was the play that made me decide to feature him here. Williams lit up Hawaii to start the season for 9-188-2. What’s more impressive is that he followed up that effort with solid games against Power 5 opponents. In those games against Colorado and Arkansas, Williams totaled 18-203-2. 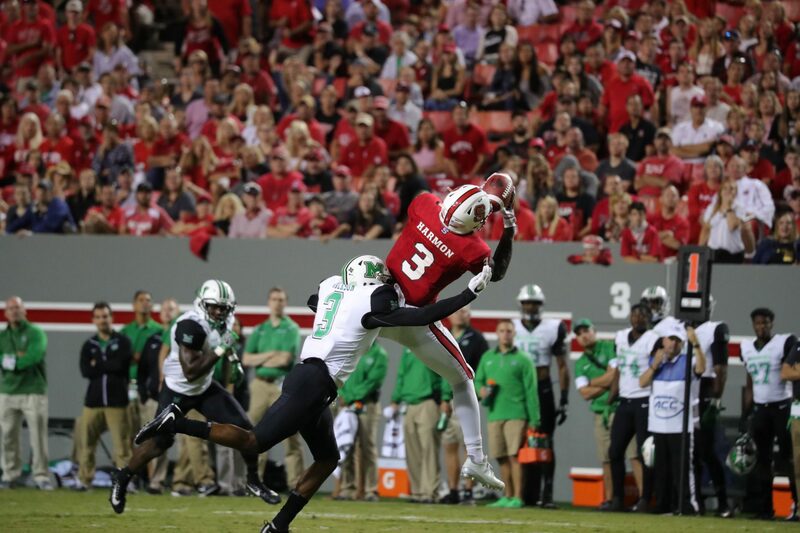 Maybe we shouldn’t be surprised that a Colorado State receiver is racking up the yards because the Rams have produced two mid-round NFL prospects over the last few years in Rashard Higgins (5th round) and Michael Gallup (3rd round). Williams will be hoping to continue the trend. 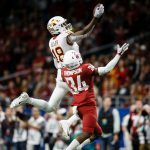 Williams only has 43 career receptions so this may be a bit premature but I think he has the pedigree and athletic ability to earn himself a mid- to late-round draft grade if he keeps up his statistical pace and comes out in 2019. Six weeks ago it seemed that both of these teams could be destined for their conference championship games but late season losses to #5 Oklahoma and #10 Miami dashed those hopes. It’ll be an interesting strength vs strength matchup when Oklahoma State has the ball. When Oklahoma State does have the ball, they often score. They average 46.3 points per game. Their lowest output of the season came against Texas with just 13 points but other than that they have scored 31+ in every game. Responsible for those points are QB Mason Rudolph, RB Justice Hill, WR James Washington and WR Marcell Ateman. Rudolph is one of my top 2018 rookie QBs for fantasy purposes (he’s big, good accuracy, typically limits mistakes and is a better runner than the stats show because of negative yardage from sacks). I profiled Rudolph twice this season, once in the preseason and once in Week 4 if you’d like to read more. I also discussed Washington in depth in Week 6 but to recap, he is a burner who was a high school track star. He caught 69 balls this year for 1,423 yards and 12 TDs. That works out to a 20.6 yards per reception average which was 10th in the FBS this season. Washington will be a Top 3 WR in most fantasy leagues this Spring. The other two offensive stars, Hill and Ateman, don’t get enough publicity. 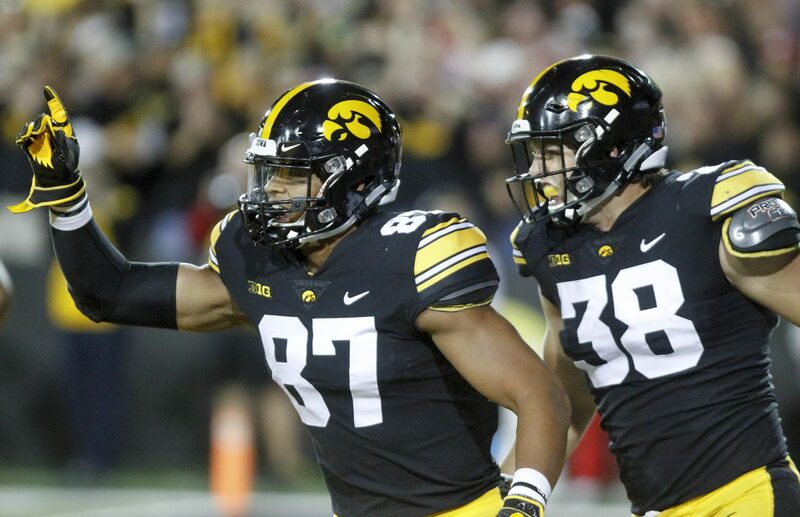 Hill is a second year starter as a sophomore and already has nearly 2,500 career yards; he improved as a pass catcher this year which allows him to stay on the field for more snaps. Ateman may just end up being the best pro player out of the group. He’s big at 6’4″ and 220lbs and uses that frame to high point the ball and fight for contested catches. Highlight reels can be misleading, but check out the string of catches he makes in this recent Youtube video from 1:22 to 1:45. Ateman won’t get drafted as high as Washington but he’ll be productive in the NFL if he keeps playing like that. Unfortunately for Hokie fans, they will be without senior WR Cam Phillips in this one as he heals from a hernia. Phillips led the FBS in receptions early in the season and ended with a 71-964-7 line. He has had 40+ receptions in each of his four seasons which is great sustained productdion. He hasn’t been super productive as far as touchdowns go though (just 17) but he did have mediocre quarterback play for his first two seasons. That quarterback play has been decent this season with freshman Josh Jackson. Jackson has 2,743 yards, 19 TDs and 8 INTs, completes 60.3% of his passes and added 4 rushing TDs. There’s a drop off from Phillips to the team’s next receiver, freshman Sean Savoy (39-454-4), so I expect the offense to struggle. On defense, LB Tremaine Edmunds does not struggle. Edmunds is a two year starter who totaled 101 tackles, 14 tackles for loss and 5.5 sacks this season. He also added 3 forced fumbles. Edmunds has been getting a lot of hype on Twitter lately so I think he’ll start moving up draft boards as people digest more film. Edmunds is WalterFootball.com’s 4th ranked OLB prospect so a first round pick is not out of the question but second round is more likely. Between the Camping World Bowl at 5:15pm and the Alamo Bowl at 9:00pm, we are looking at a great doubleheader Thursday night with just enough time to sneak in a quick, late dinner with your significant other. Stanford may be ranked higher, likely because of Bryce Love love, but I think TCU is the stronger team. Both teams are coming off of conference championship losses so it’ll be interesting to see how they rebound. Stanford started the season with Keller Chryst starting at quarterback with occasional appearances by freshman backup KJ Costello. 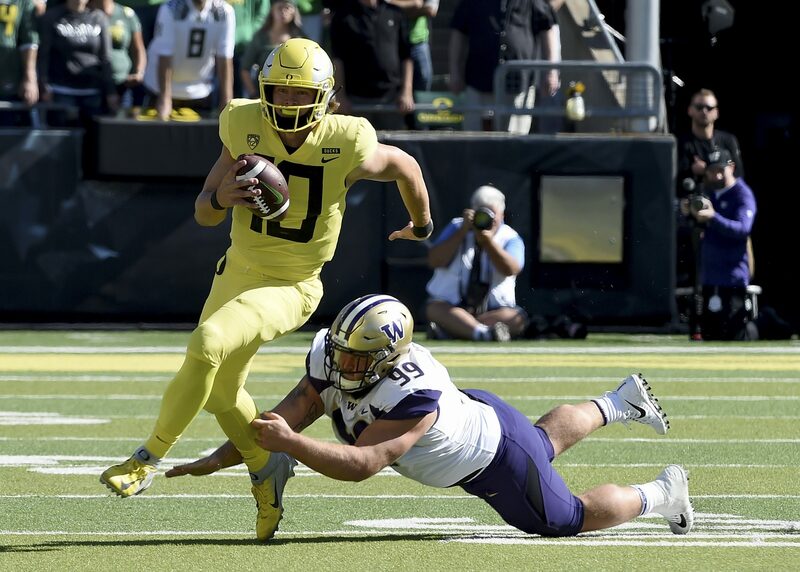 Costello took over full-time in the November 4th game against Washington State and struggled (9-20, 105 yards, 0 TD, 1 INT). He has played better since but his stats are those of a game-manager rather than a game-winner. The game-winner for the Cardinal is Heisman runner-up Bryce Love. Love finished the season with 1,793 yards and 17 TDs. He battled through injuries but still managed to miss just one game. He’s a bit undersized but is still a workhorse with seven games of 20+ carries. He had eleven games of 100+ yards (the lone game he didn’t hit the century mark was against Washington State when he came in very questionable), including 263 and 301 yard games. 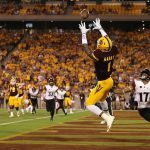 I covered Love many times throughout the season as he moved up the Heisman ballot – my deepest dive was in Week 7. Love is currently my RB5 for 2018 rookies because I am a little concerned about his size and durability; I expect him to be a late 1st or early 2nd round rookie fantasy draft pick in 2018. On defense, Stanford is led by safety Justin Reid who had 92 tackles and 5 INTs in 2017. 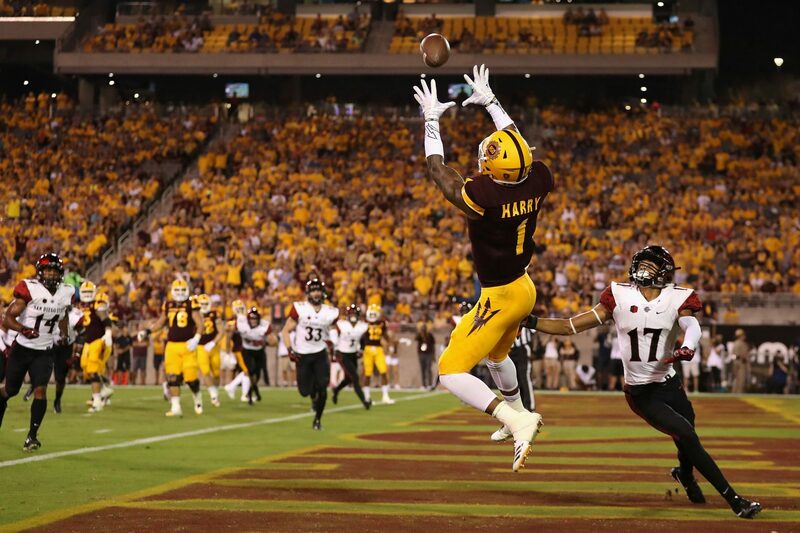 He was voted to the second team All-America team and was a first team PAC-12 selection. 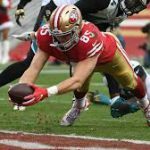 Reid will be a second round pick and will factor into IDP leagues as a rookie. Per my research, TCU does not have any clear cut draft prospects, except maybe for senior LB Travin Howard. Instead, I’ll touch on a few offensive players who will make a difference in this game. First up is QB Kenny Hill. Hill is a former Texas A&M transfer who has started both years at TCU. He significantly improved his rate stats in 2017 (including completion percentage, passer rating, TD:INT ratio and yards per attempt) but was less of a factor as a runner this year. He still had 4 rushing TDs but that was significantly less than his 10 from 2016. RB Darius Anderson (768-8) is injured and may not play. In his place senior Kyle Hicks will get more carries. Hicks was a 1,000 yard rusher last season but saw a reduced role behind Anderson this season. My prediction for the player who most benefits from Anderson’s injury will be KR/WR KaVontae Turpin. Turpin is tiny (5’9″ and 153lbs) but a potential game breaker. In his career he has 17 career TDs: 1 passing, 2 rushing, 10 receiving, 3 returning punts and 1 returning kicks. 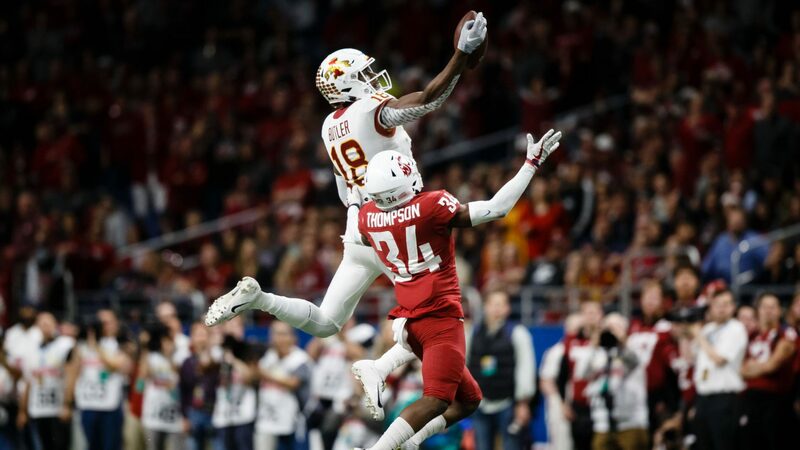 He had seven touches (6 receptions, 1 punt return) and 91 all-purpose yards (39 receiving, 52 returning punts) against Oklahoma in the Big 12 Championship; that was the most touches he had had in six games. I would expect a similar number of touches in the bowl game and bet he’ll score in some unexpected or spectacular way. The biggest storyline surrounding either of these teams is surely FSU head coach Jimbo Fisher leaving Tallahassee for College Station. Jimbo won’t be coaching in the bowl game, that duty will fall to special teams coach Jeff Banks, but I’m sure his presence will be felt. Wake Forest started the season strong with four straight wins, three over eventual bowl teams, but went on to lose five of their last eight. Their crowning victory in the second half of the season came against #19 North Carolina State who could have tied Clemson for the division lead if it weren’t for the Wake Forest loss. Wake Forest’s senior QB John Wolford had the best season of his career in 2017. He threw for 2,792 yards, 25 TDs and just 6 INTs. What is most encouraging when looking at his stats is the huge increase in efficiency this year. Wolford is undersized at 6’1″ and 200lbs (it’s always a red flag when somebody weighs in exactly at 200lbs, surely he’s less than that). I don’t think his that quick but he is productive as a runner with 615 yards and 10 TDs. Wake’s most explosive player, WR Greg Dortch is injured and out for the bowl which is a shame. Dortch set a school record with 4 TDs against Louisville. I watched his highlights from that game and he’s like a punt returner whenever he gets the ball in the open field: fast, quick cuts, sets up blockers. I’m looking forward to watching more of him next year. Hot take alert: Texas A&M isn’t even as good as their 7-5 record indicates. They did not beat a ranked opponent all season (in three tries) and their three wins over Power 5 teams were all just by one score. The Aggie offense is paced by WR Christian Kirk. Kirk first caught my eye in the preseason while writing my SEC preview. Kirk is very fast, sub 4.40 speed, and is great when he has the ball in his hands. 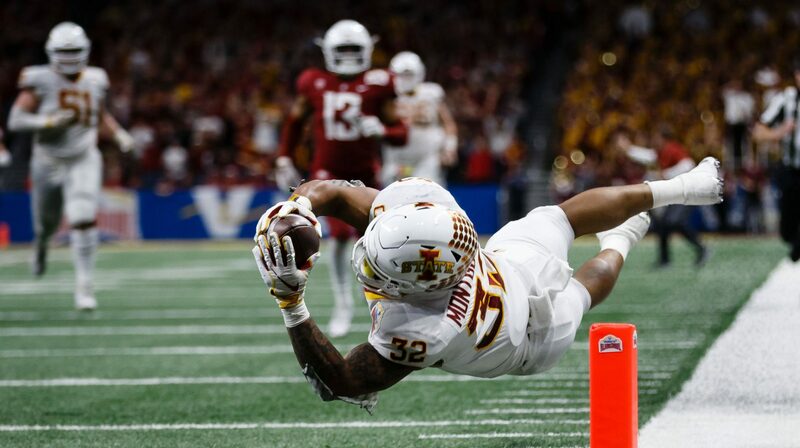 Since many of his receptions are at or behind the line of scrimmage, I question his route running and ability to get open at the NFL level; but, as long as the team can scheme for him with screens and drag routes across the field he’ll succeed because of his running after the catch. Kirk’s value as an NFL player is insulated by his return prowess. He has 7 career return TDs and if he qualified with two more returns he would have led the FBS in punt return average (21.9 vs the leader who has 19.5) again in 2017, something he did in both 2015 and 2016. 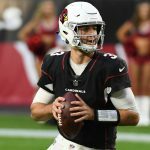 Kirk will be an early second round rookie pick in 2018 so keep an eye on him. If you told me you were watching a Kentucky vs Northwestern matchup in December, I would probably guess you were watching basketball not football because historically these are two weaker Power 5 programs. Kentucky is playing in their second consecutive bowl while Northwestern’s streak is at three so both have found recent success under their current coaches. As far as this season goes, Northwestern is on an impressive seven game winning streak which includes a win over #16 Michigan State. Conversely, Kentucky lost their last two (both by nearly 30 points) and three of the last four. Kentucky has two players that interest me after doing some research. The first is sophomore RB Benjamin (Benny) Snell. Snell set a number of Kentucky freshman records last year and was named a freshman All-American by the Football Writer’s Association of America. In that freshman season he rushed for 1,039 yards and 13 TDs. In 2017, Snell added 70 carries and managed to top 1,300 yards and scored 18 TDs. He also became a slightly larger factor in the passing game (10 receptions vs 2). Snell’s per-carry average fell in 2017 but it’s good to see that he has held up (he’s 5’11” and 223lbs which is a good size for a running back) without any serious injury. On defense, SS Mike Edwards could be a mid-round draft pick if he declares early. Phil Steele had him ranked as the #9 draft eligible SS in the preseason and NFLDraftScout.com has him ranked in the same spot in his 2019 draft class. Since 2010, there were 17 safeties drafted between the 4th and 6th round that compare similarly to his size; there were also four safeties drafted higher but that’d be a reach for Edwards based on my limited research. I watched some 2016 highlights of Edwards and noted his ball tracking and good form on a number of his tackles. Edwards has 228 career tackles and 8 INTs so he has been productive, just not at an elite level. Wildcats QB Clayton Thorson will be best served by staying on campus for his senior season but I have seen some 2018 draft hype for him on Twitter. The positives: he’s tall at 6’4″, is a good runner, has a lot of experience as a third year starter and improved his completion percentage year-over-year. I watched tape of Thorson from last year’s Pinstripe Bowl and I had mixed feelings. I believe Thorson has the requisite “arm talent” for the NFL but he gets sacked too often and seems to make a lot of one-read throws. Regarding the sacks, in 2017 Thorson was sacked the 13th most in the FBS and in 2016 he was sacked the 3rd most. He hasn’t missed a game for Northwestern but all of those hits must add up eventually. Northwestern’s best prospect is RB Justin Jackson. Jackson is a true three-down back who averages 3.12 receptions per game over the last two seasons. Jackson has also rushed for over 1,000 yards in each of his four seasons, the biggest total coming in 2016 with 1,524 yards. Jackson lost carries this year to freshman backup Jeremy Larkin but he still managed 1,154 yards. Jackson is quick and probably best suited for a zone-blocking scheme where he’s not plowing into the line head first. He’ll probably start his career as a third down, situational back but I don’t think it’ll be long before he earns more touches. The third round is probably the best case scenario and he’s a steal if he makes it midway through the fourth. I’ll be honest, it’s hard to say much of anything positive regarding a bowl matchup featuring two 6-6 mid-majors after we’ve had a number of Top 25 matchups. I’m tempted to do as my mother taught me, “if you don’t have anything nice to say don’t say anything at all,” but I know you are here for some hard-hitting analysis. Surprisingly, this isn’t the first time this season that I have written about New Mexico State. In Week 11, I shined a spotlight on Aggies RB Larry Rose III. I observed that Rose has good lateral and straight line speed and his explosiveness. Unfortunately, he’s playing on a weak team (just 14 career wins as a four year starter) so his opportunities to shine have been few; he’s also dealt with a number of injuries, including a sports hernia and a knee. Rose’s best attribute is his pass catching ability: he has 49 receptions for 474 yards and 2 TDs this year. He probably doesn’t get drafted but it’s a name to monitor in training camp in case he catches on somewhere. Speaking of four year starters with an injury history, QB Tyler Rogers threw for 3,825 yards, 26 TDs and 16 INTs this season. He improved his rate stats in 2017 but was featured less frequently as a ball carrier. His top target is 6’6″ JUCO transfer Jaleel Scott. Scott is a red zone threat with 5 of his 8 TDs coming from inside the twenty. After researching Utah State, I’m honestly surprised that head coach Matt Wells still has a job. He took over for Gary Anderson after a big 11-2 season and subsequently won 19 games over his next two years at the helm. In the three years since, he has just 15 combined wins. Maybe he has some dirt on the athletic director? 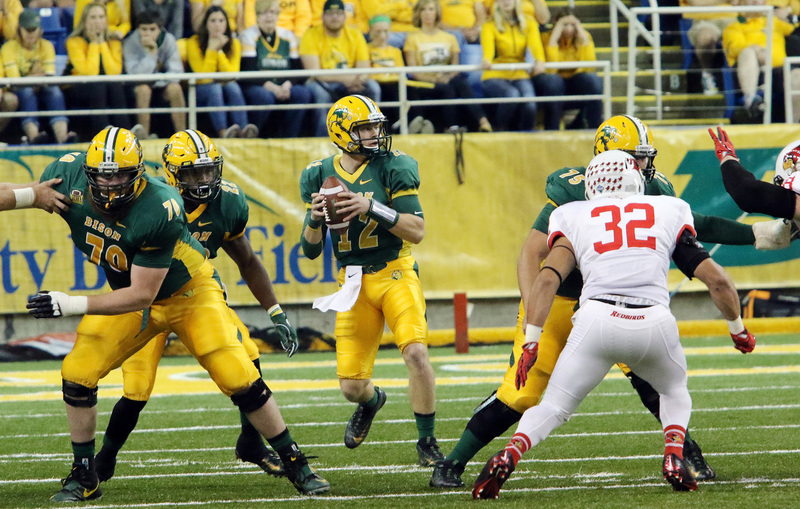 Throughout the season, Wells has rotated quarterback snaps between Kent Myers and Jordan Love. Combined they have about 2,500 passing yards, 16 TDs and 13 INTs. The defense is led by junior LB Suliasi Tamaivena. Tamaivena had 109 tackles and 3 sacks in his first season at Utah State. He had a rough road to Logan and FBS football, which included a junior college stop and academic issues that kept him from joining Washington State. He’s probably too old to be considered as a draft prospect but he’s a good story of perseverance nonetheless.